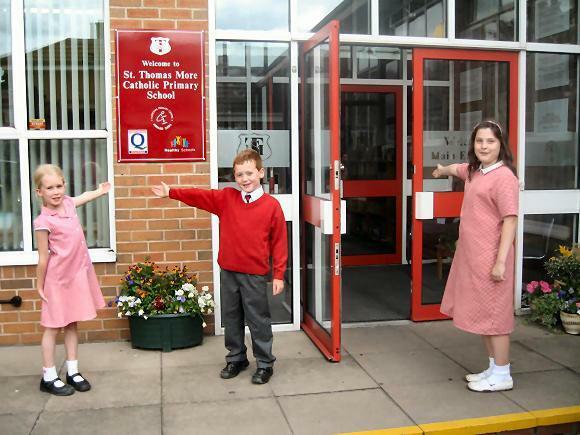 Please enjoy a look round our school. Welcome to our school! Please step inside for a grand tour. You are assured of a warm welcome from Mrs Gardner, our school administrator, and Mrs Serry our school clerical assistant. The school office is a very busy place and is the centre for all of our school's data systems. Our office staff work very hard to ensure that all the children's registration marks are collected in time; that dinner school money is effective in allowing parents payments; resources are ordered and checked when they arrive; school statistics are up to date; letters are typed; booklets are produced; newsletters are typed and copied and parents' queries are answered as quickly as possible. They also make sure our school is a secure and safe place to be. So don't forget to sign in before you enter. Our main entrance is very big and bright. The focal point is a special prayer focus which houses our seasonal faith display. Our Executive Headteacher, Mrs Nash, makes sure that this is a bright and welcoming area for everyone, and that all our visitors can see that we are a Catholic school. You can see that our School Mission is displayed for all to see. 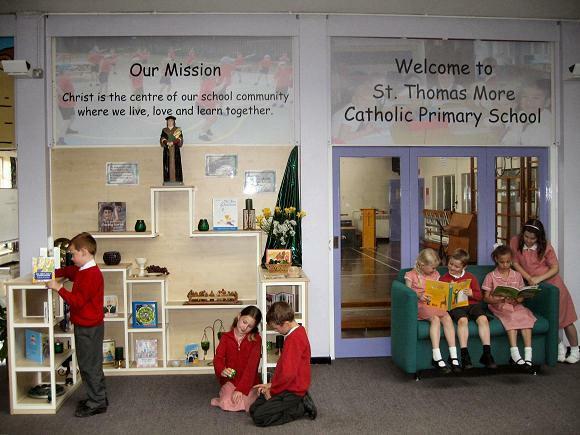 The Mission is the centre of all we do in school, and each day we try to live, love and learn together. Our Reception Setting caters for 56 Reception children. 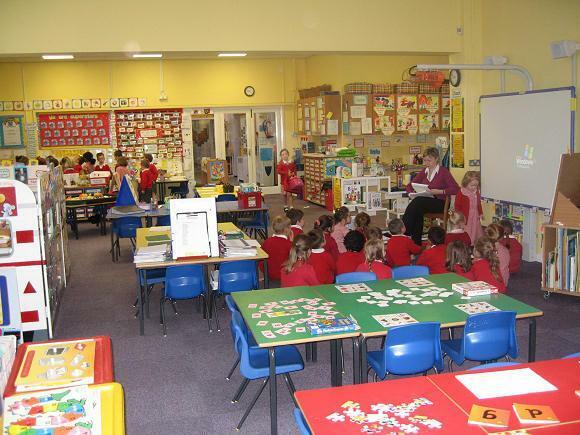 It is a very bright and stimulating environment where children thoroughly enjoy learning. Our two Reception teachers and their support staff plan an exciting range of activities for the children which help the children to quickly develop into independent learners. Parents are welcomed into the classrooms as volunteers to help with reading, design technology and other curriculum areas. It is also very special to us to invite our parents to share our class Masses. We hope that by worshipping together in school, parents will feel encouraged to continue sharing prayers with their children at home. 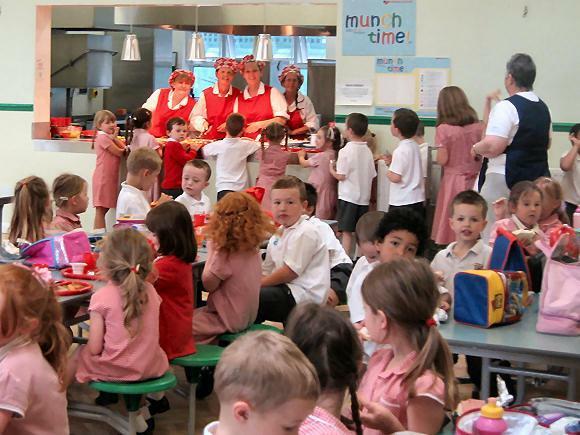 The dining studio is a multi-purpose space which enables us to enhance the curriculum by providing a dedicated dance and drama area for the children to work in. At lunchtimes, the studio becomes our dining area, where Rose, our cook provides fantastic healthy lunches to our children. All of our food is cooked fresh on the premises in our award winning 'Executive Stainless Steel Kitchen' (Rose is very proud of that!) The children are encouraged to eat healthily and so we provide a salad card for both sandwich lunch and dinner children to choose from. The dining studio is also the venue for our After School Club. This runs daily and provides Breakfast (from 7.30am) and After school care until 6pm, for those parents who need child care before and after school. The school hall is at the heart of our community. 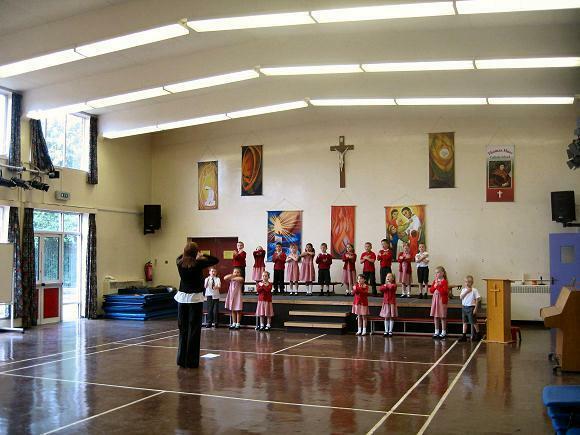 It is used each week for whole school assembly, class assemblies, school celebration meetings and hymn practise. In addition, the hall is our main P.E. 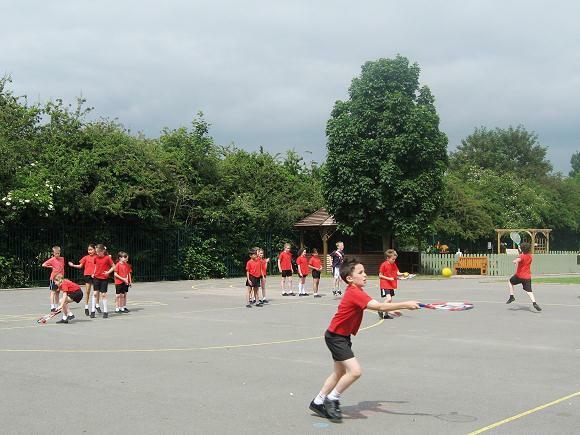 and Games base, where children take part in curriculum and extra curricular sporting activities to ensure they stay healthy. Our Suite has 30 computers which are all networked to our curriculum server. 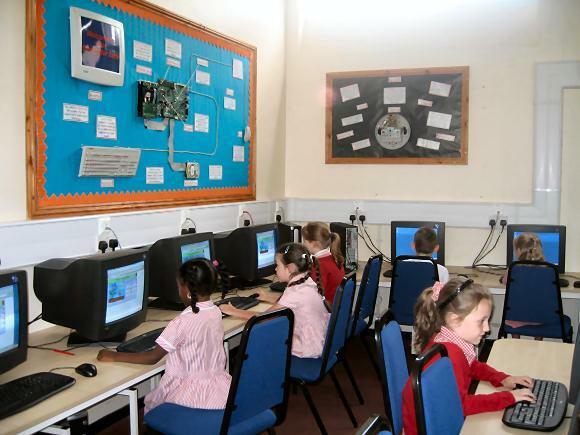 This large suite means that whole class ICT lessons can be delivered, where every child has access to an individual computer. Each class is timetabled to use the suite twice weekly for: ICT skills, lessons, where they learn how to operate different aspects of computer programs and cross curricular ICT work, where they apply the skills they have mastered in all curricular areas. 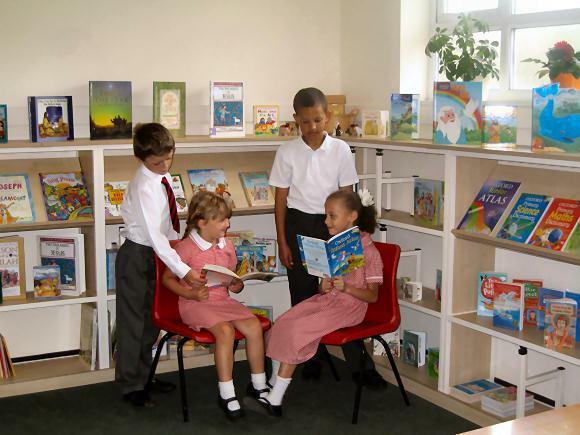 We have four classrooms in Lower Key Stage 2 which cater for our Year 3 and Year 4 pupils. All of the classrooms have an interactive whiteboard and networked computers. The children's independence is fostered by routines and clear organisation of resources. At the upper end of the school, we have four colourful classrooms which accommodate our Year 5 and 6 pupils. These classrooms are always buzzing with purposeful activity, and you can always be assured of a challenge or two to 'flex your brain'. 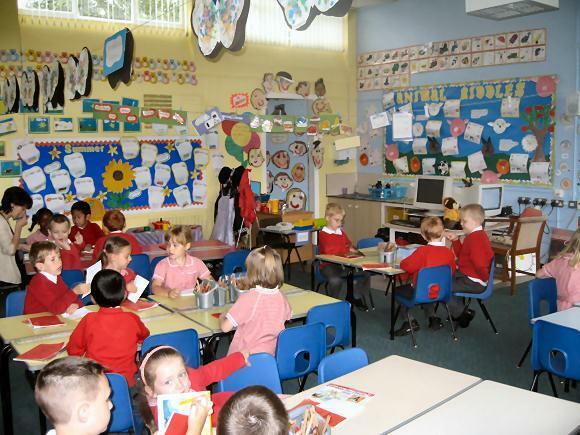 Children in these rooms are very adept at operating the interactive whiteboards and often create fantastic powerpoint presentations to showcase their hard work. There are three playgrounds in school. One caters specifically for our Reception children, one for our Key Stage 1 children and the final one for our Key Stage 2 children. The children enjoy their outdoor learning spaces where they have the opportunity to take part in structured and unstructured play, together with outdoor PE and Games lessons. 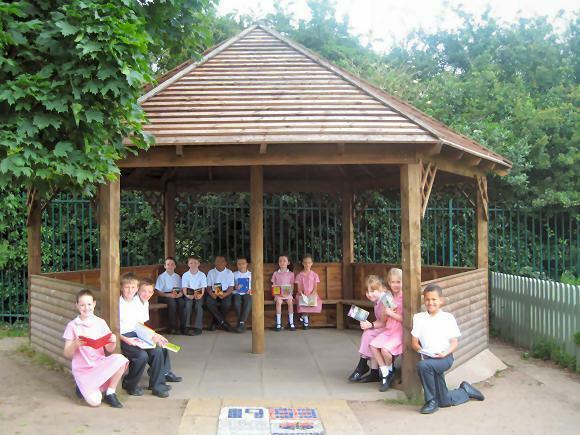 This wooden gazebo has seating for a whole class, so that learning can be taken outside the classroom. You might see a class hearing a story; doing a drama; reciting their tables; drawing portraits or investigating materials. The possibilities are endless, and the children love it. The Gazebo is also useful for parents to keep dry on wet days too! The area is used daily in the Early Years setting where the children can use the climbing equipment, building area, stage area, sand area, play role area and creative area. The outdoor area is an extension to the indoor classroom where the children can grow and develop through the six areas of learning and development. 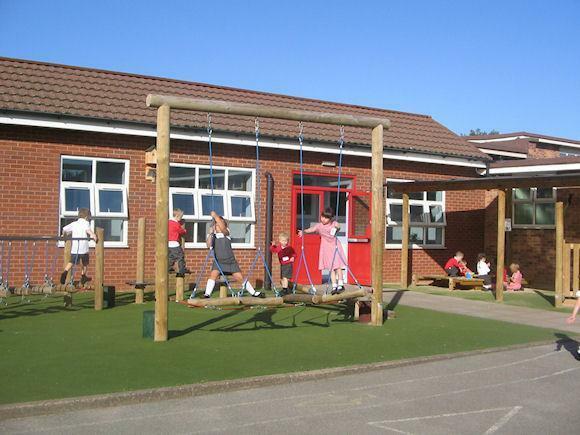 The outdoor area is also used by our After School provision.